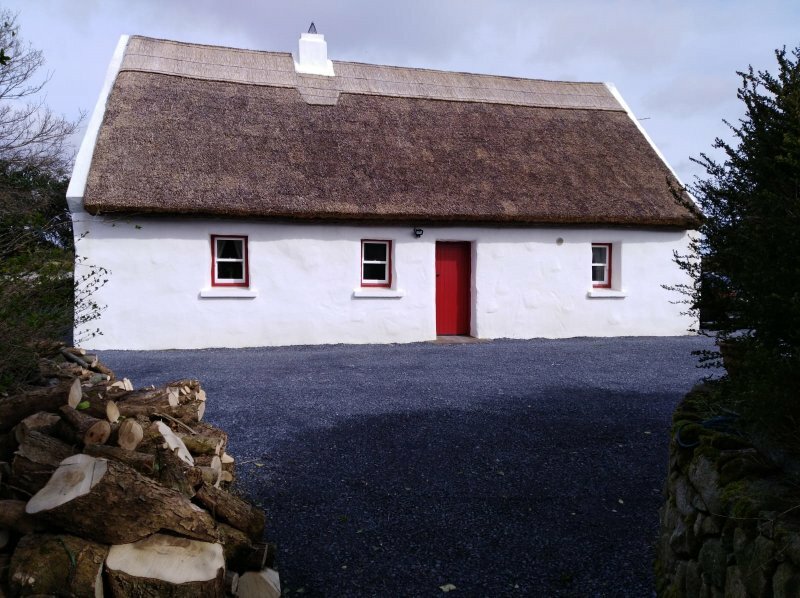 500 metres from the Atlantic at Galway Bay, amidst an ancient landscape, of tiny stonewalled fields and wild bogs is the thatched cottage known to the generations who lived there as An Sean Teach (the old house). Seven generations of a local family were born here. It was the small home of a Gaelic speaking family, subsistance farmers and fishermen, knitters, turf cutters who lived in special harmony with the wild nature of their place. Within the thick walls of this happy home, riches were counted in song, music and story. The culture of this community at the western edge of Ireland was one of the few places where traditional Gaelic culture survived. Today, that culture is thriving in what is the greatest period in Ireland's history. 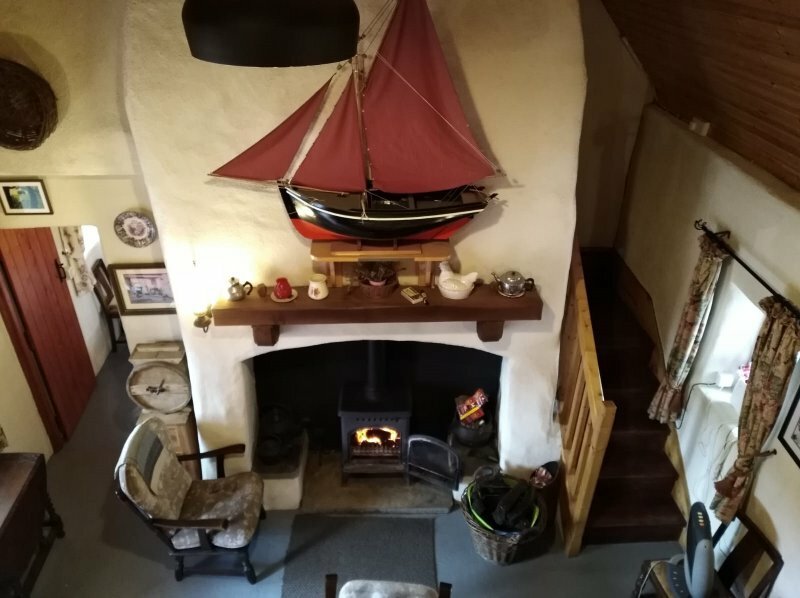 The Sean Teach is still standing today with its white-washed walls shining whiter and it's thatch as tight and cosy as ever before. Today, it is one of the finest, restored homes of it kind in existence. Lovingly and patiently restored to the finest detail with modern conveniences added discreetly, this home is available to rent. Its owners are a family steeped in the rich heritage of this place. Their home will provide you with a vacation you will never forget! This is the ideal romantic getaway or creative nest. It is the perfect base from which to explore and walk the hidden Ireland, often talked of but rarely experienced. Situated on the outskirts of the village (and the cultural honeypot!) of An Spidéal (Spidéal), it is just ten miles west of the bustling city of Galway. This property sits in it's own field and garden amidst a hinterland of outstanding natural beauty and wildlife. It is a place of incredible peace and tranquility, but still only 3 minutes walk from great restaurants, pubs and the workshops of some of Ireland's finest crafts people. 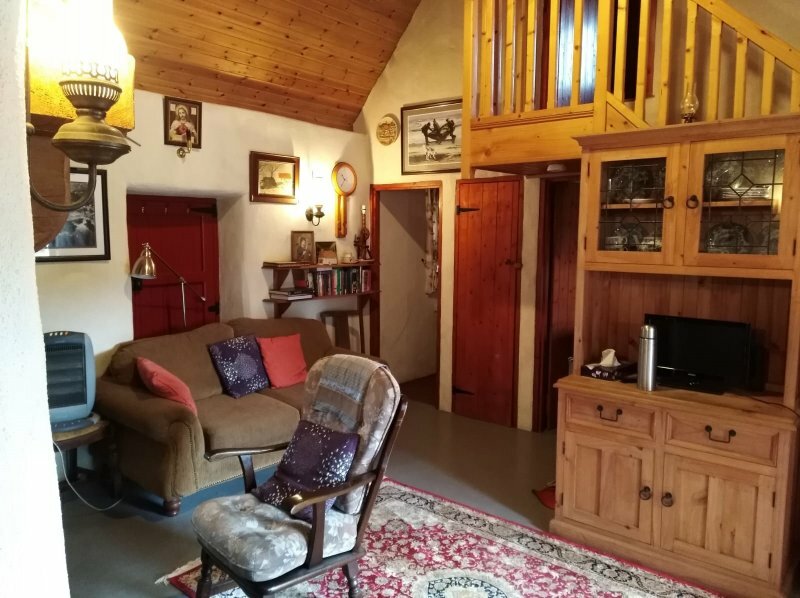 Also, there is great golf links and incredible walking or biking amidst Connemara and the Aran Islands, all within easy commuting range. 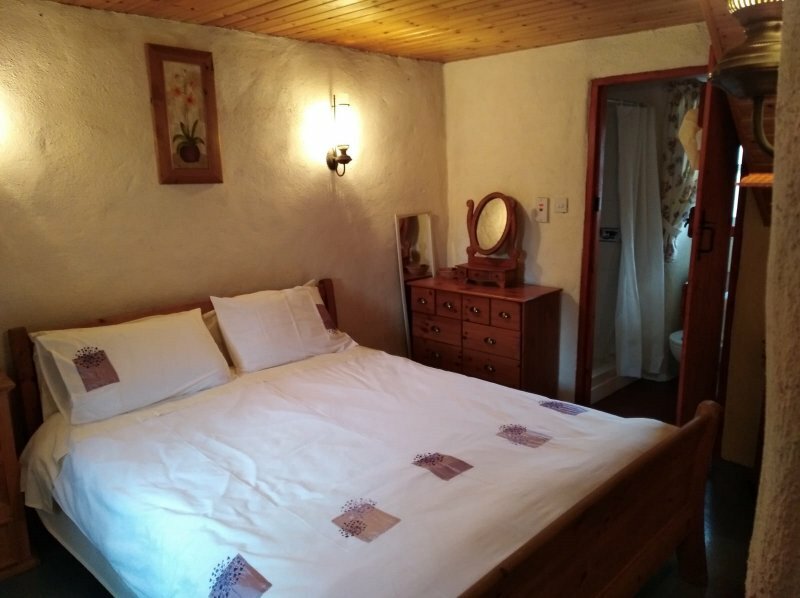 This authentic thatched cottage consists of 3 bedrooms. The master bedroom has a king size bed and is ensuite with shower. 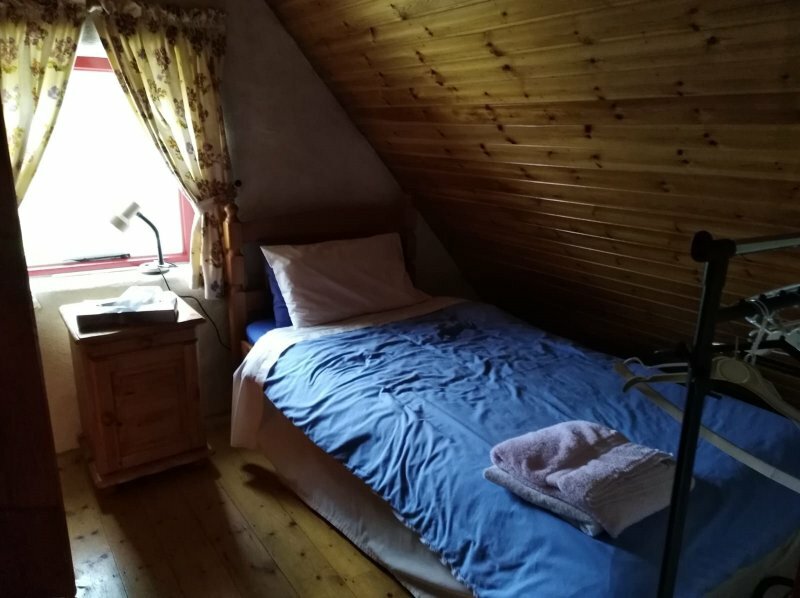 The two single attic bedrooms have access to a toilet upstairs. The main bathroom is downstairs and it has a bath. The kitchen is fully equipped with all modern conveniences including washer/dryer, cooker, fridge/freezer and dishwasher. The beautifully restored sitting room has a TV and an original fireplace with a turf/wood burning stove. There is a graden to the front and the rear small patio with basic seating plus a built-in grill that can be used to barbeque. Wifi is provided free of charge and energy charges are included in the rates. Bed linen and towels are provided but we recommend you bring along extra towels if you plan on swimming at any of the local beaches. Truly a magical and special destination. Please note that this location only accepts fortnightly bookings throughout the year.